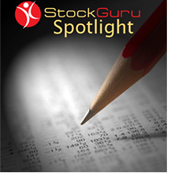 DALLAS, TEXAS : StockGuru announces that Geovic Minig Corp (OTCBB: GVCM) is in the StockGuru Spotlight. Geovic is a U.S.-based corporation whose principal asset is 60.5% ownership of a significant cobalt-nickel-manganese deposit in the Republic of Cameroon, Africa On Thursday, the company put out news announcing that it has completed the staking of five square miles (13 sq. km) of mining claims at its Cornudas Mountains exploration prospect in southern New Mexico. Initial work completed by the Company indicates that the Cornudas Mountains claims host an alkaline laccolithic intrusion that contains significant concentrations of the heavy rare earth enriched mineral eudialyte.